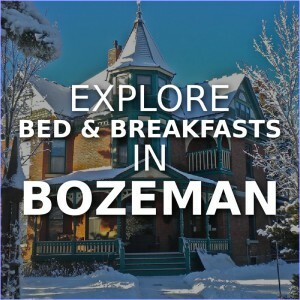 Bozeman has several highly rated Bed & Breakfasts ranging from Victorian Manors built in the late 1800’s to rural B&B’s with their own resident pack of wolves. Explore reviews, photos, and descriptions of each. Rated: (4.8 / 5) Set on 42 acres in picturesque Bridger Canyon, Howlers Inn is a unique Bed & Breakfast experience in a beautiful, pastoral setting. Heralded as “the best lodging in Bozeman” by Travel & Leisure Magazine, and ranked as the top B&B in Bozeman by TripAdvisor, Howlers Inn Bed and Breakfast offers the discriminating traveler something a little different, something a little more. Close to Yellowstone National Park, prime fly fishing waters, and downhill or X-Country skiing, Howlers Inn is a great location for a genuine Montana experience. Rated: (4.5 / 5) The Lindley House was formerly called The Olive Branch Inn. The new owners renamed the bed and breakfast to better reflect the history of the house. 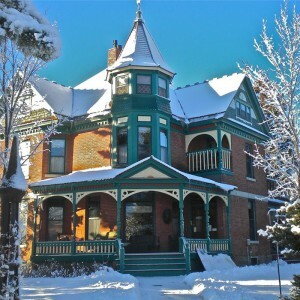 The Lindley House, built in 1889 by one of Bozeman’s early pioneers Joseph Lindley, is a Victorian Manor house designed with a cottage industrial feel listed on the National Historic Register. The house is located in a quiet neighborhood with a private fenced back yard and deck, just two blocks from the historic downtown area of Main Street. Hiking/biking trails, Farmer’s Market, Emerson Cultural Center, fine restaurants, theaters, art galleries, quaint shops, a grocery and pharmacy, and Montana State University are all within walking distance. Each of the beautiful rooms at The Lindley House feature their own private bath, high ceilings, solid maple floors, large windows, comfortable beds, free high speed WiFi and high end finishes. The great room and dining area are open to all guests with comfortable chairs and plenty of space to read, relax or enjoy a board game. You are only a short two blocks from Main Street with access to all that downtown Bozeman offers. 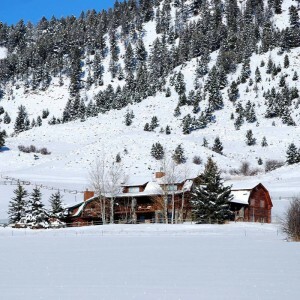 Rated: (4.5 / 5) The Lehrkind Mansion Bed and Breakfast in Bozeman, Montana provides guests with a comfortable base from which to launch out into spectacular Big Sky Country. Whether you are contemplating sightseeing and hiking in Yellowstone National Park or skiing at Big Sky or Bridger Bowl, your hosts Jon and Christopher, who served as park rangers in Yellowstone for years, can point out the best itinerary for a successful journey. 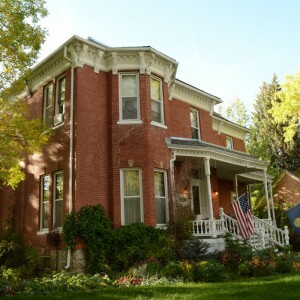 Rated: (4.5 / 5) The Voss Inn bed and breakfast is truly a Victorian “home away from home” for people who enjoy fine lodging, personal service and hospitality in Bozeman, Montana. The Voss Inn is a circa 1883 Victorian mansion furnished entirely in antiques in an elegant, yet comfortable Victorian style. 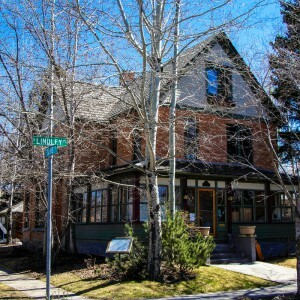 Located on Wilson Avenue, Bozeman’s most prominent historical residential street, the bed and breakfast is within easy walking distance of downtown shops and restaurants, Montana State University and the Museum of the Rockies. By car, you’re only 15 minutes from excellent Gallatin River fly fishing, 15 miles from Bridger Bowl Ski Resort and eight miles from Bozeman Hot Springs. The Voss Inn offers six elegant guest rooms, each with private bath, quality linens, and period antiques. Here you can relax in comfortable surroundings and enjoy a style of gracious living reminiscent of an earlier time. Rated: (4.5 / 5) Established in 1995, this custom country style bed and breakfast home is situated at the very end of Mary Road, offering a welcoming atmosphere surrounded by peace and quiet in a park like setting. Relax on the front porch and enjoy an unobstructed view of the majestic Bridger Mountain Range which rises to nearly 10,000 feet. This is really what you have come to Montana to see! Fox Hollow Bed and Breakfast has 5 spacious air conditioned guest rooms, each with a private bath. Conveniently located midway between the Bozeman Yellowstone International airport (BZN) and the quaint Bozeman, Montana historical downtown area. Fox Hollow finished it’s 21st year hosting over 20,000 visitors to Montana from all over the world, providing guests with a unique lodging experience.